From the sidebar hover over Appearance. Click on Widgets form the sub-menu that appears. You should now be on the Widgets page. To create an instance of this widget, click on it to expand it. 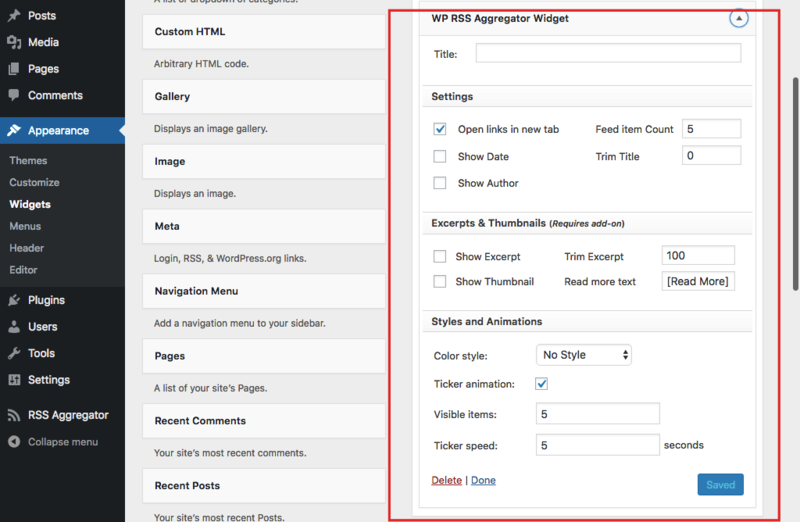 Then choose the area on your site where you want the widget to be added, and click Add Widget. Once you’ve created an instance of the widget, you should see that the following has been added to the section that you’ve chosen. Enter a title for the widget in the box labelled Title at the top of the widget’s options, and click Save. This step is optional, but it’s often a good idea to give widgets a title, so your visitors know what they are seeing on your site. For further customization help, refer to the Widget Customization article.